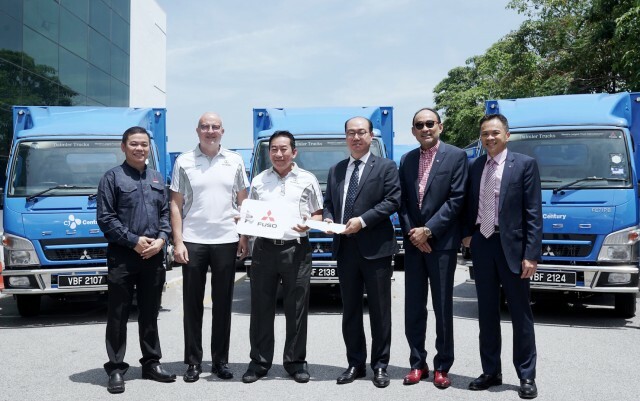 Mercedes-Benz Malaysia has officially delivered 80 FUSO trucks to Century Logistics Holdings Berhad, a leading provider of supply chain solutions. A FUSO customer since 2017, Century Logistics Holdings Berhad’s fleet of 80 FUSO light-duty trucks will comprise primarily of the FE71PB series. The FE71PB series is commonly used for short distance distribution and inter-state logistic transportation, an ideal truck in the courier servicing industry. MBM CV’s authorised FUSO dealer, Hap Seng Commercial Vehicles Sdn Bhd, will provide extensive aftersales support and vehicle maintenance for Century Logistics Holdings Berhad’s FUSO fleet. Century Logistics Holdings Berhad is a leading provider of supply chain solutions. From a forwarding agent in the 1970s, the Group has since diversified into integrated logistics, oil logistics, procurement logistics as well as data management solutions. Riding on the expertise of CJ Logistics, Century has recently embarked on providing courier services. CJ Logistics is a major shareholder of Century and is the dominant parcel delivery company in South Korea. Following recent steps in Spain, Norway, Sweden and Finland, VDL Bus & Coach will now also have a physical presence in the Belgian market, from 1 March 2018, with its own sales organization. Up to this point the Benelux region was centrally managed from the Netherlands, but by being physically closer to the customers, VDL Bus & Coach wants to be a preferred partner within the rapidly changing and innovative bus and coach market. 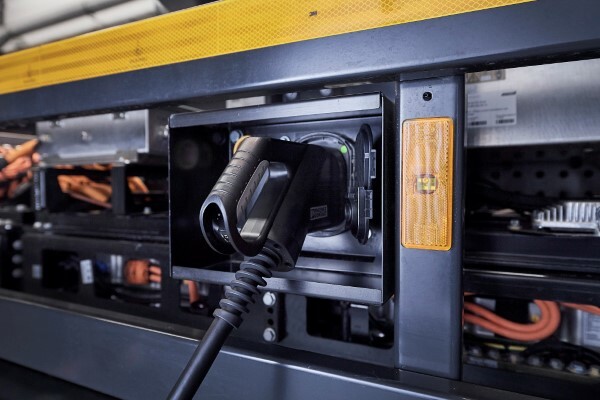 The introduction of alternative technologies and the transition to fully emission-free public transport demands the further strengthening of local sales and after-sales teams. This way the right expertise will be close to the customer, which is essential in this rapidly changing market. The Belgian sales team will naturally cooperate with and make use of all the knowledge and experience within the existing buses and coaches division and VDL Groep. Filip Malefason has been appointed managing director of VDL Bus & Coach Belgium. 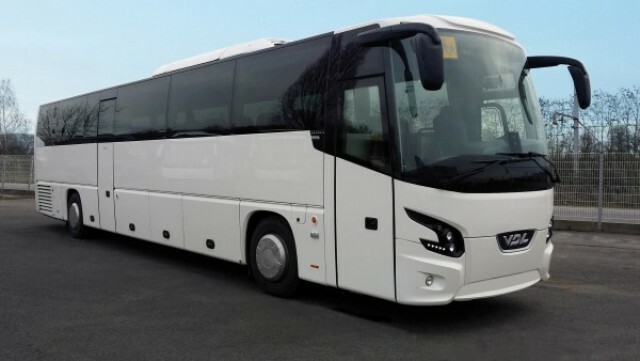 The core activities of VDL Bus & Coach consist of the development, manufacturing, sales and after-sales of a wide range of buses, coaches and chassis modules, the conversion or extension of mini & midi buses and the purchase and sales of second-hand buses. Manufacturing takes place in the Netherlands and Belgium. VDL Bus & Coach places high value on quality, safety, durability, the environment, low fuel consumption, comfort and low maintenance costs. Sales of VDL Bus & Coach products take place through a worldwide network consisting of corporate-owned sales offices, importers and agents in more than 30 countries. This makes it possible to offer custom- made transport solutions. For after-sales and maintenance, the client can count on rapid, hassle- free assistance from VDL Bus & Coach employees in any of the many service locations. An extensive distribution network ensures that spare parts and accessories are delivered to the requested destination as quickly as possible. 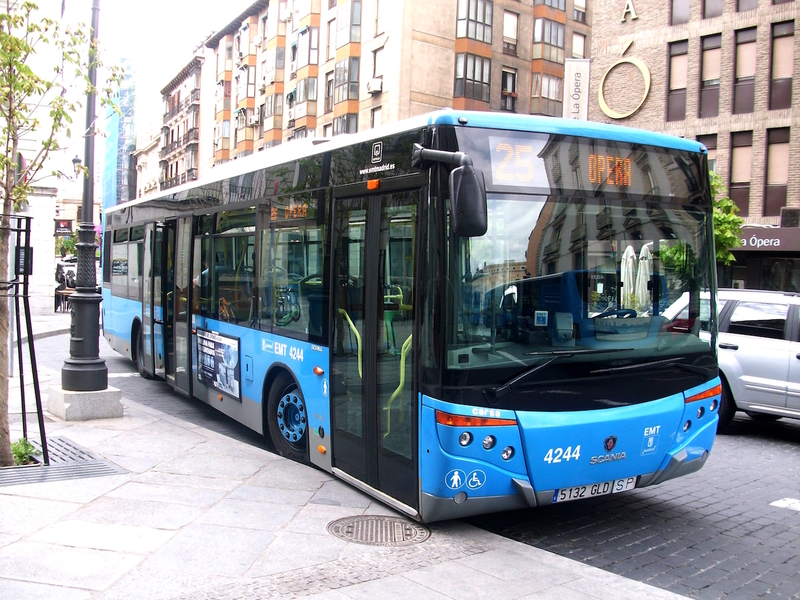 VDL Bus & Coach is one of the largest bus producers in Europe. 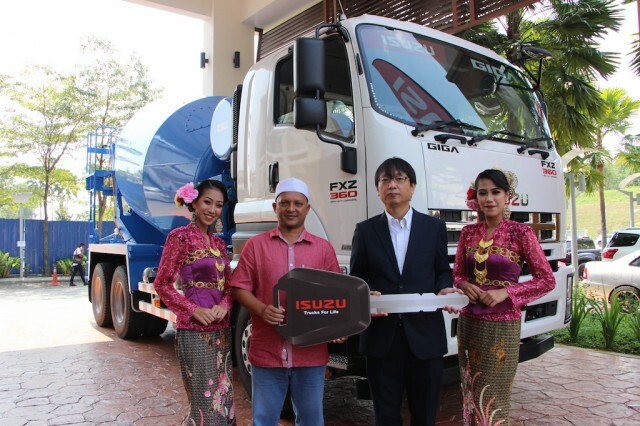 In support of the thriving local construction industry, Isuzu Malaysia recently delivered two units of the newly launched Isuzu GIGA FXZ360 (Cement Mixer Truck), to Hamzah Ibir Sdn Bhd, a Terengganu-based construction company. The units were procured from Dynamic Motors Sdn Bhd, an Isuzu authorized dealer located in Kuantan, Pahang. 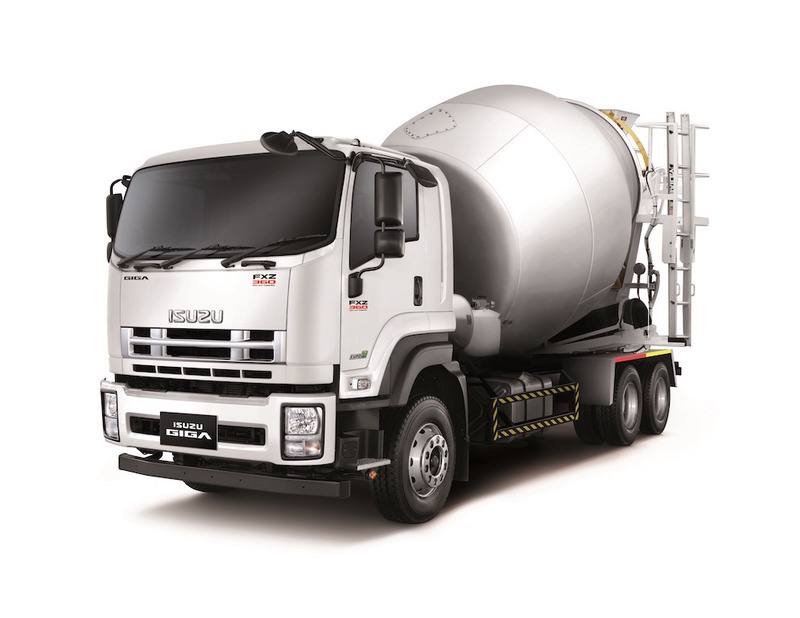 Powered by the 6UZ1-TCC engine, the Isuzu GIGA FXZ360 (Cement Mixer Truck) comes with a six in-line cylinder, turbocharger and intercooler. This offers impressive load-carrying performance through 360PS and 1,422 Nm of torque, in addition to a 9-speed ZF gearbox that efficiently deploys powerful performance suited for various terrains. Furthermore, the new Isuzu GIGA FXZ360 (Cement Mixer Truck) is also equipped with a 6×4 drivetrain, which also includes a factory-fitted ‘Flywheel PTO’ feature installed from Japan, aside from boasting best aerodynamics, ergonomics and UNECE safety standards. 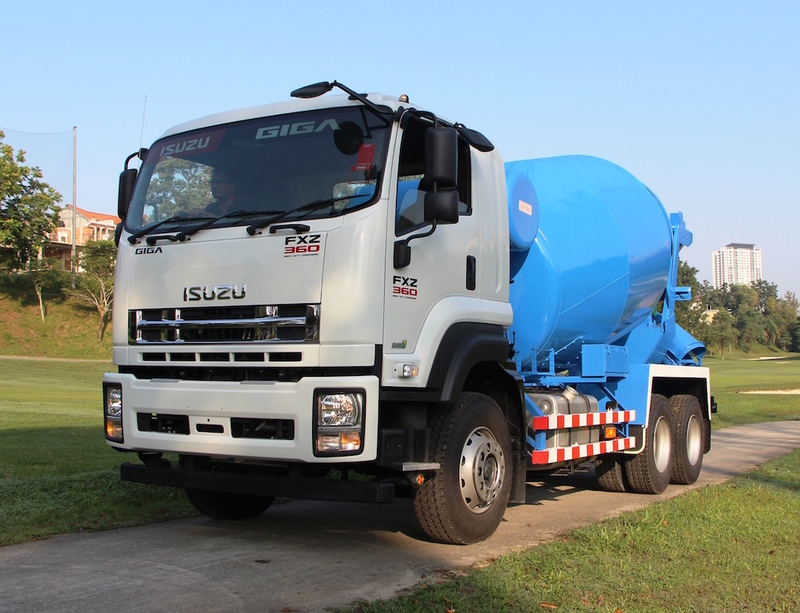 According to the Managing Director of Hamzah Ibir Sdn Bhd, Dato Haji Khaidir, the launch of the much-anticipated mixer truck by Isuzu is a timely move, in view of the rapid construction and development projects the company is currently undertaking, aside from the flourishing progress of the nation’s construction industry. Isuzu was highly considered by the construction company due to the brand’s well-known reliability and durability, aside from offering fuel-efficiency and excellent after-sales service. 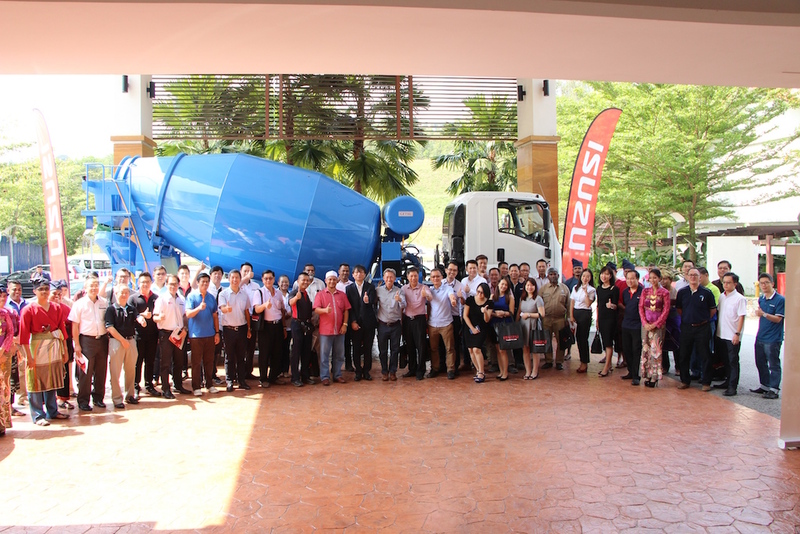 Speaking at the recent launch and handover ceremony, Isuzu Malaysia’s Chief Executive Officer, Koji Nakamura, stated that the introduction of the new Isuzu GIGA FXZ360 (Cement Mixer Truck) is an important step for the company’s quest to offer business owners a full range of commercial vehicle products to suit a variety of construction and development needs. “Isuzu’s reputation as a high-quality, reliable and efficient truck manufacturer is the cornerstone of its global success. In Malaysia, Isuzu has become the best-selling truck brand, especially in the light duty truck segment for eight consecutive years, in addition to being the No. 1 preferred brand for commercial vehicle truck in the past four consecutive years,” said Nakamura. With this latest introduction, Isuzu Malaysia now offers a complete product line-up to meet the growing demand for high-quality, reliable and fuel-efficient trucks, ranging from the Isuzu ELF light-duty truck series, followed by Isuzu FORWARD’s medium-duty truck series and Isuzu GIGA heavy-duty truck series. For more details on Isuzu’s range of vehicles, please call 1-300-88-1133 or visitwww.isuzu.net.my. In 2016 Mercedes-Benz Trucks became the first manufacturer in the world with a heavy-duty electric truck. 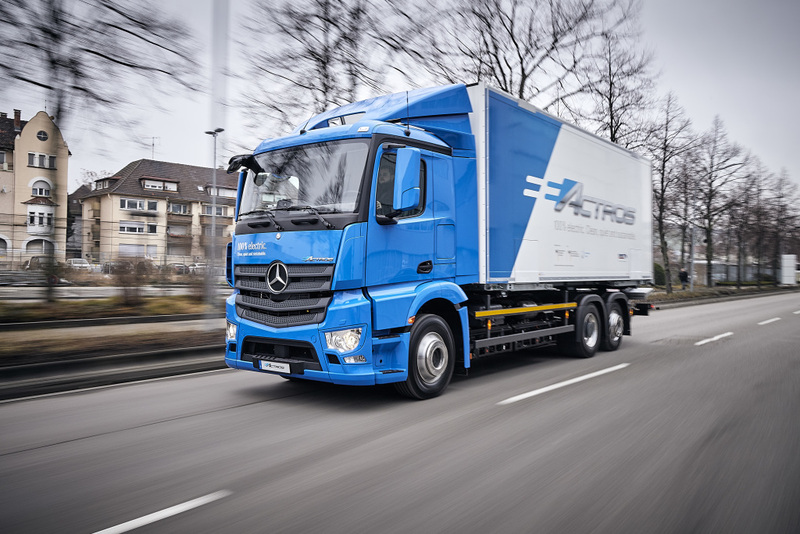 The technology pioneer is now taking the logical next step: putting its electric truck, the eActros, out on the road with customers. Ten vehicles in two variants, with a gross vehicle weight of 18 or 25 tonnes, will be handed over in the next few weeks to customers, who will be testing their everyday feasibility and economic efficiency under real-life conditions. The long-term aim: locally emission-free and quiet driving in urban environments with series-production trucks. These customers all distribute goods via the road network – but in very different sectors and categories. The palette ranges from groceries to building supplies and raw materials. The vehicles are being used by customers for tasks that would otherwise be completed by vehicles with conventional diesel engines. The range of requirements means that the vehicles are fitted with a variety of bodies. According to need, refrigerated box bodies, tankers or tarpaulin sides are used. The drivers of the eActros are trained specially to work with the vehicle. The pilot customers will be testing the vehicles in real-life operations for twelve months, after which the trucks will be going out to a second round of customers for a further twelve months. The basis for the eActros is provided by the frame of the Actros. 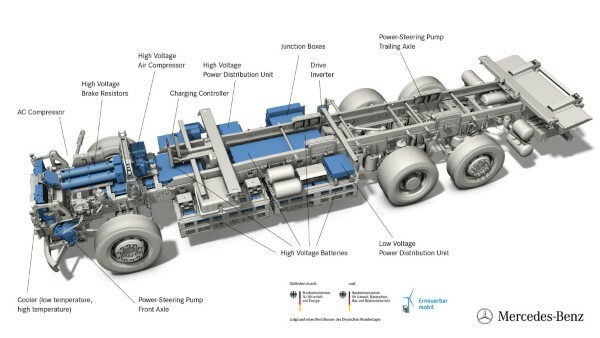 Otherwise, however, the vehicle architecture has been configured specifically for an electric drive system, with a high proportion of specific components. 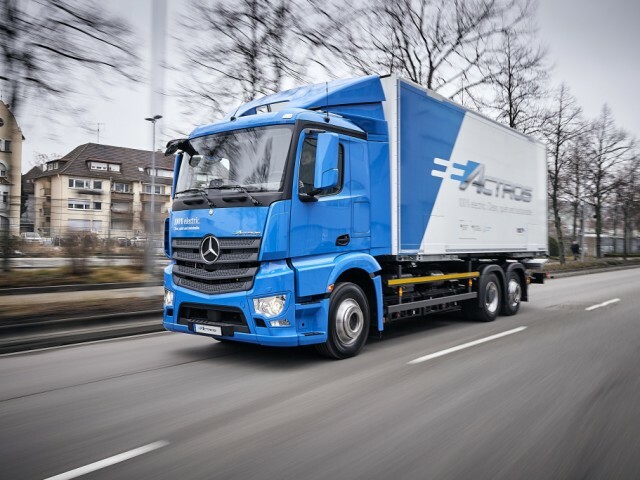 The drive axle, for example, is based on the ZF AVE 130 that has already proved its worth as a low-floor portal axle in hybrid and fuel-cell buses from Mercedes-Benz and is now being fundamentally revised for the eActros. The axle housing has been completely redesigned and is mounted in a significantly higher position, thereby increasing the ground clearance to more than 200 mm. The drive system comprises two electric motors located close to the rear-axle wheel hubs. These three-phase asynchronous motors are liquid-cooled and operate with a nominal voltage of 400 volts.hey generate an output of 125 kW each, with maximum torque of 485 Nm each. The gearing ratios convert this into 11 000 Nm each, resulting in driving performance on a par with that of a diesel truck. These have already proved their worth in service with EvoBus GmbH – so can no longer be considered as prototypes. The batteries are accommodated in eleven packs, all in all: three of these are located in the frame area, the other eight are to be found underneath. For safety reasons, the battery packs are protected by steel housings. The customer innovation fleet will be on the road until at least mid 2020. 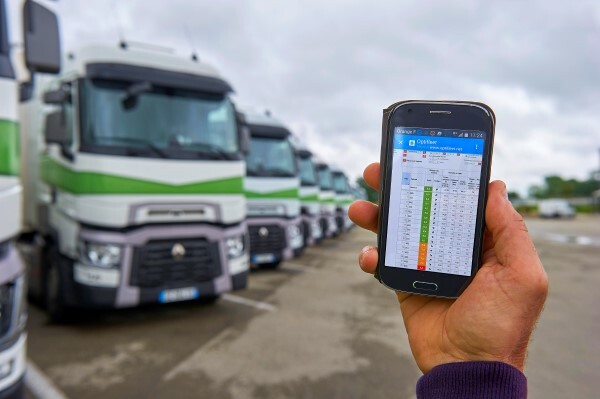 Its aim is to establish the energy requirements for a series of specific application scenarios as well as the economic efficiency of the electric trucks, and to compare the environmental performance of the electric trucks with that of diesel trucks in a full Life Cycle Assessment. The findings of this research work will find their way back into the vehicles in the form of on-going optimisation measures. The results will be published, giving potential users the opportunity to optimise their route planning or to develop new business models for their logistics processes. 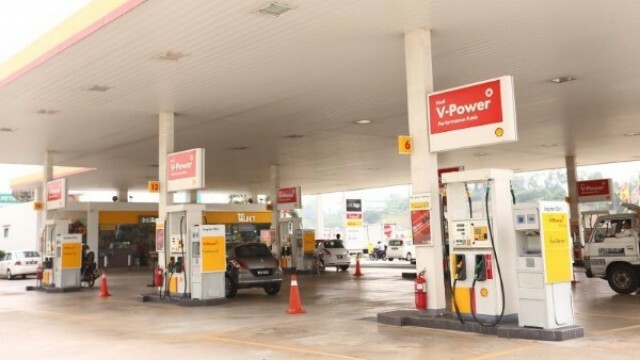 Diesel vehicle owners in Sarawak can now look forward to benefit from Shell FuelSave Diesel Euro 5, which is now made available at stations in Bintulu and followed by other major cities in Sarawak namely Miri, Kuching, and Sibu in due course. Shell FuelSave Diesel Euro 5 is formulated with DYNAFLEX Technology, with new dirt-busting molecules for a clean and efficient engine. The technology helps to clean and protect key fuel system components, such as fuel injectors, from build ups that may reduce engine’s performance. 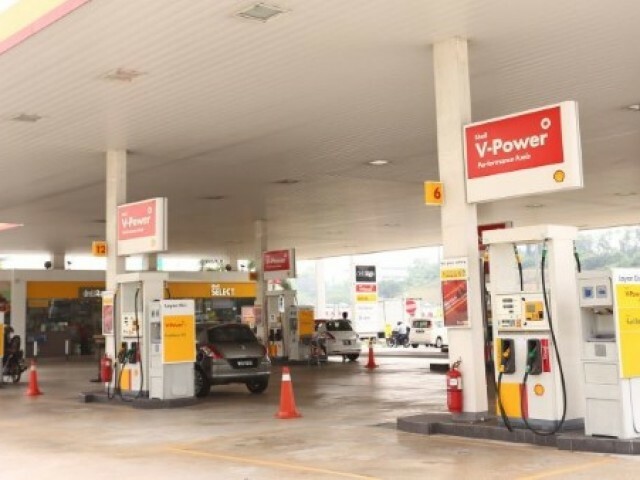 In addition, the new Shell FuelSave Diesel Euro 5 contains less than 10 mg/kg of sulphur, making it suitable for modern diesel engines which requires low sulphur diesel fuel. 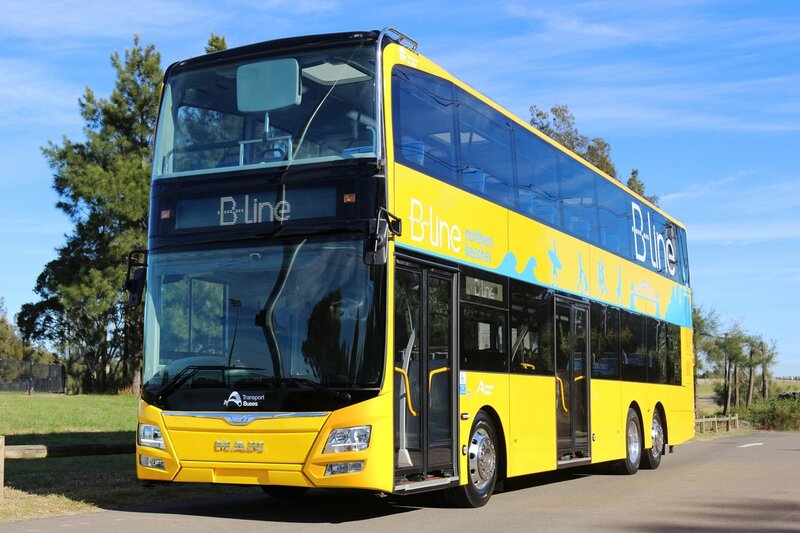 Penske Commercial Vehicles, MAN Truck & Bus’ sales partner in Australia and New Zealand, supplied the MAN A95 double-decker buses to Transport for New South Wales. 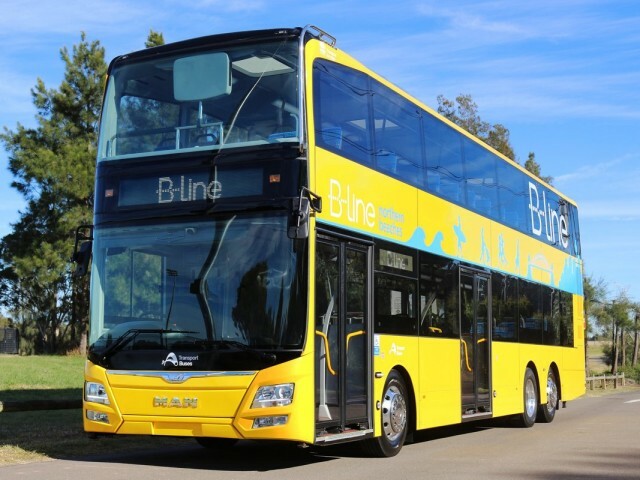 “After various successful projects with the MAN A95 chassis in Singapore and Hong Kong, this marks a further expansion of our presence on the market and we are delighted to have now made it into the double-decker city bus segment in Australia as well”, says Christian Schuf, Head of Sales & Product Bus MAN Truck & Bus Asia Pacific. “In order to continue to meet the wide range of market requirements, the A95 chassis has also been available with the Euro 6c exhaust version since the beginning of the year”, he adds. The MAN A95 low-floor bus chassis for Transport for New South Wales – the operator of the B line – will be powered by a 320 hp (235 kW) six-cylinder diesel engine in compliance with Euro 5. The ZF Ecolife automatic gearbox with integrated hydraulic retarder combines sustainable driving with high efficiency whilst ensuring impressive smooth running. The driver, passengers and nearby residents all benefit from the low exhaust gas emissions and the quiet engine. Passengers can easily board and alight thanks to the low entry height at both outward-swinging doors and the kneeling function, which allows the vehicle to be lowered at the side. Real-time information such as ETA and scheduled stops is clearly displayed on large screens. Various safety features such as the electronic brake system (EBS), electronic stability program (ESP) and rollover protection (ROP) safeguard passenger and driver safety. The body of the twelve metre long vehicles originates from Malaysian body manufacturer Gemilang. 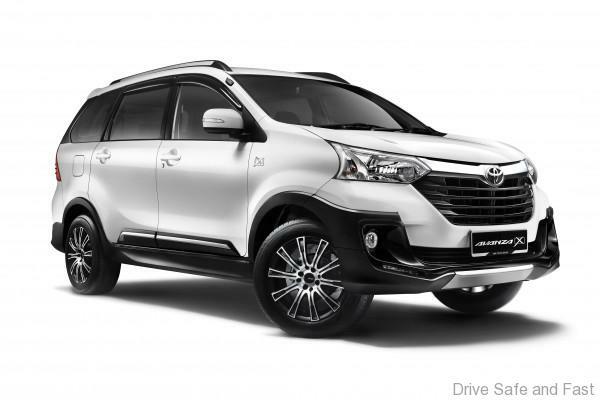 UMW Toyota Motor Sdn Bhd (UMWT) will soon introduce the new Toyota Avanza 1.5X with a rugged theme in its appearance. This new variant is on sale from 5th Feb 2018 with pricing starting from RM82,700 (excluding insurance, for private registration in Peninsular Malaysia). 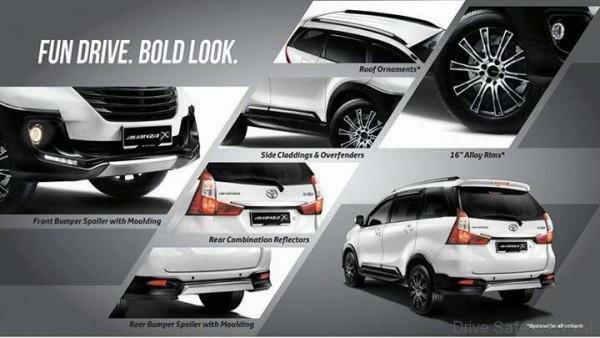 The new variant comes with front and rear bumpers having black coloured extensions and silver mouldings as well as over-fenders around the wheel arches. The over-fenders, finished in black, provide additional protection from road debris that may be thrown up by the wheels. At the same time, it visually lessens the gap between the tyres and wheel arches. The side cladding also contributes to the rugged image while having a functional purpose of protecting the bodywork. New rear combination reflector units are integrated with the rear lights, providing a stylish touch at the rear end of the Avanza 1.5X. Also available as optional accessories are a Roof Ornament and 16-inch alloy rims with a unique design. Both items complement the rugged and modern appearance of the vehicle. 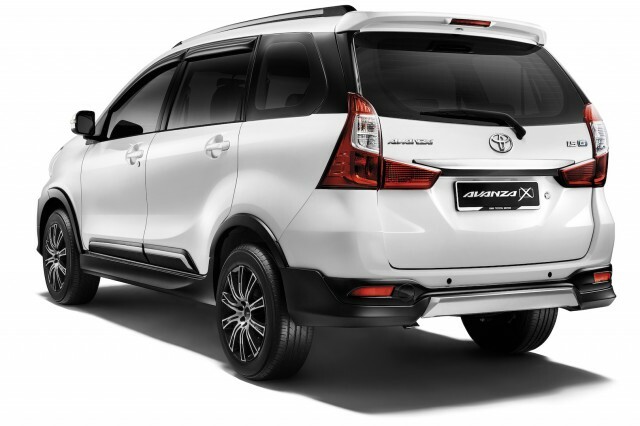 The new Avanza 1.5X is still very much a family-oriented MPV with accommodation for up to 7 persons on 3 rows of seats. For flexibility in carrying people or cargo or both, the second row and third row of seats are divided into two equal sections and can be folded for extra cargo space. Every effort has gone into providing a comfortable atmosphere for all the occupants to enjoy every drive in the Avanza. The dual-blower air-conditioning system with second blower mounted on the ceiling ensures cool air reaches passengers in the third row. Customers who wish to upgrade their infotainment system can opt for either the optional DVD-AVX or DVD-AVN systems. 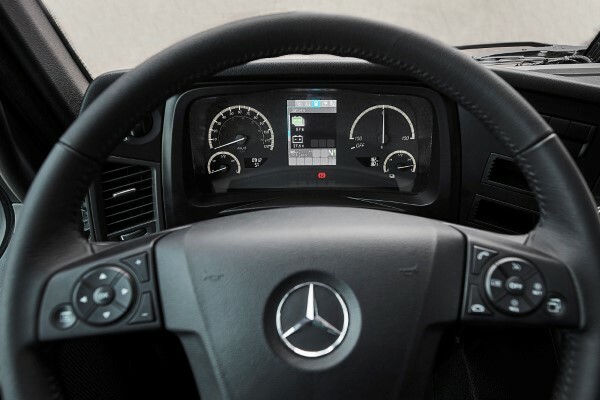 Both come with large touchscreens and reverse camera displays and the DVD-AVN includes an internet browser (requires a wifi internet connection by the user) and GPS route navigation. All Avanza variants, including the new Avanza 1.5X, have high levels safety, especially with respect to collision impacts. There are dual front airbags and every one of the seven occupants has a 3-point seatbelt which gives better restraint over the upper body as well as two ISOFIX points on the second row for ease of installing and securing compatible child seats. All Toyota models come with a 5-year warranty and unlimited mileage for peace of mind ownership. The warranty is available for the next owner within the first 5 years which further enhances the value of the car. 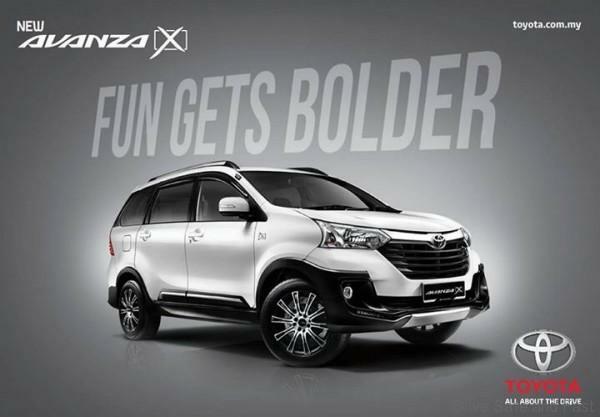 The new Avanza 1.5X can be viewed from February 24 onwards when there will be a Toyota Weekender event at all showrooms. For more information, kindly visit toyota.com.my. At the recent SWEDEN-SOUTHEAST ASIA BUSINESS SUMMIT, Scania was moving its sustainable, automatized and digitalized solutions ‘hard’ to attending media and government officials to show how efficient and productive public transport systems using quality reliable buses can enhance lives of society and improve profitability for the city. 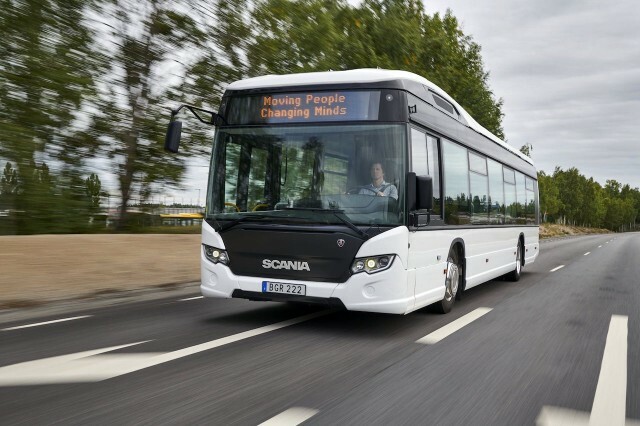 Scania aims to drive sustainable mobility in rapidly growing cities with the clever, cost-efficient bus systems offered through its efficient buses. Scania’s services and solutions for public transport are tailored for all urban centers, including emerging markets and fast-growing smaller to medium-sized cities that are just developing their infrastructure. Scania’s approach is to prioritize cost and CO2 efficiency, as well as user-friendliness, quietness and safety. Bus Rapid Transit systems are the most cost-effective way of serving growing populations. Bus Systems by Scania include a toolbox that combines biofuel-ready engines, power electrification and bus systems. Scania is able to provide full-scale bus solutions that transport 50,000 passengers per hour and per direction, as well as systems for lower capacities. Scania’s turnkey solutions include vehicles, automatic fare collection systems, fleet management systems, and consultancy services for improving traffic flow and the development of infrastructure investments, as well as vehicle service and maintenance. On the 6th and 7th of February 2018, Scania shared how they lead the shift towards sustainable transportation at the recent Sweden-Southeast Asia Business Summit (SSEABS) held in Kuala Lumpur. Scania was one of the main sponsors of SSEABS with Sustainability as a theme. Hosted by H.E. Mr. Dag Juhlin-Dannfelt, Ambassador of Sweden to Malaysia and honoured by the presence of Y.B. Dato’ Sri Mustapa bin Mohamed, Minister for International Trade and Industry and Mikael Damberg, Minister for Enterprise and Innovation, Sweden; SSEABS was organised by the Embassy of Sweden in cooperation with Business Sweden. Erik Ljungberg, Senior Vice President and Head of Corporate Relations, Scania groip was a panel speaker in a discussion on “Creating a Sustainability Mindset.” Scania also led two Industry Talk Day sessions in Day Two under the theme of “A Sustainable Mindset – Key Driver for Future Growth.” The topics of “Future City Transport Solutions” and “Circular Economy – Waste to Wealth” was graced with guest speakers Alexander Mastrovito, Head of Sustainable Transport Solutions, Scania Asia & Oceania and David Lantz, Sustainability Manager, Scania Southeast Asia. To deliver a sustainable transport system all three must be combined. The future of transport will be driven by coalitions of organisations, cities and nations that will show the way and to take out the risk for our customers. Scania’s continues to experience the common denominator for all successful cases – widening the scope and start-up joint co-operations with all involved parties: the transport buyers, the transporters, us and the fuel and infrastructure suppliers. “Most importantly we are bringing with us our close customer relationships and the trust they continuously give us to support them to reach their business goals, today and tomorrow,” concluded Mr. Ljungberg. 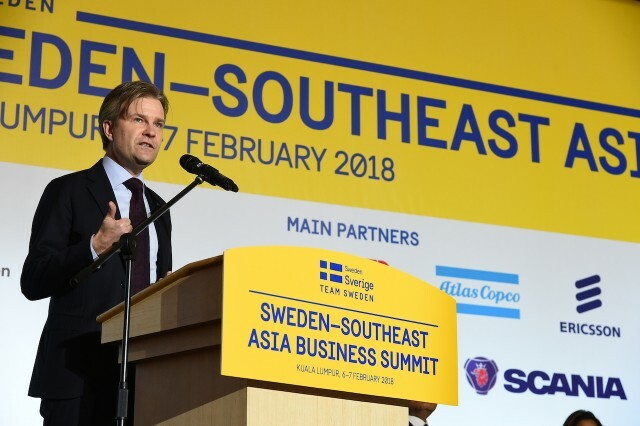 The Sweden-Southeast Asia Business Summit 2018 was a follow-up to the inaugural business summit that took place in 2016. This business summit was jointly hosted by Team Sweden in Malaysia, which includes the Embassy of Sweden, Business Sweden and the Malaysian Swedish Business Association (MASBA) and had participation from Swedish companies across business sectors ranging from service to manufacturing and retail that are present in Southeast Asia, from the large multinational companies to small and medium sized enterprises. – The Check module provides technical vehicle information that is especially useful in reducing fuel consumption and CO2 emissions. This includes the Ecoscore feature, which tracks and analyses driving styles and identifies areas in which action can be taken to reduce fuel consumption. – The Map module geo-locates vehicles in real time, analysing routes taken in order to optimise time and kilometres driven.